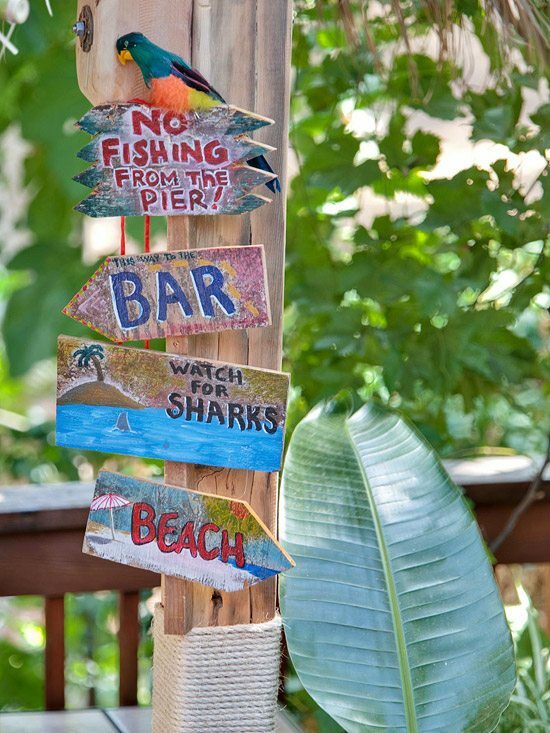 Have you been dreaming about a tropical getaway? 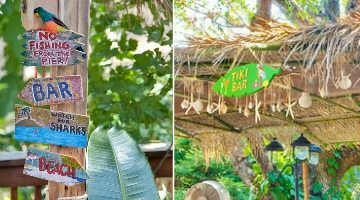 Better Homes and Gardens shows how homeowners created a tropical retreat right in their backyard! 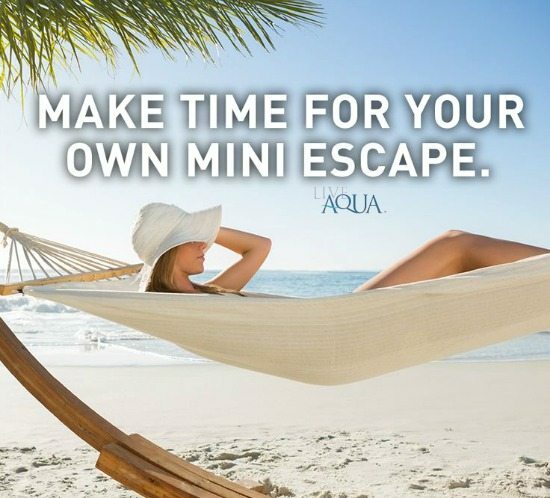 Take a vacation without leaving the house. 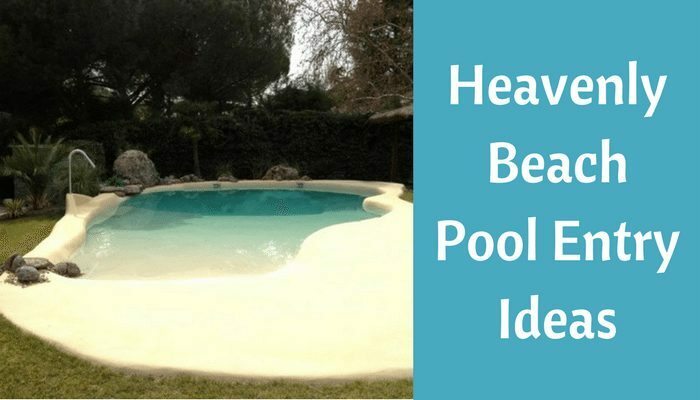 These heavenly beach entry pool ideas will fulfill your beach getaway fantasies! 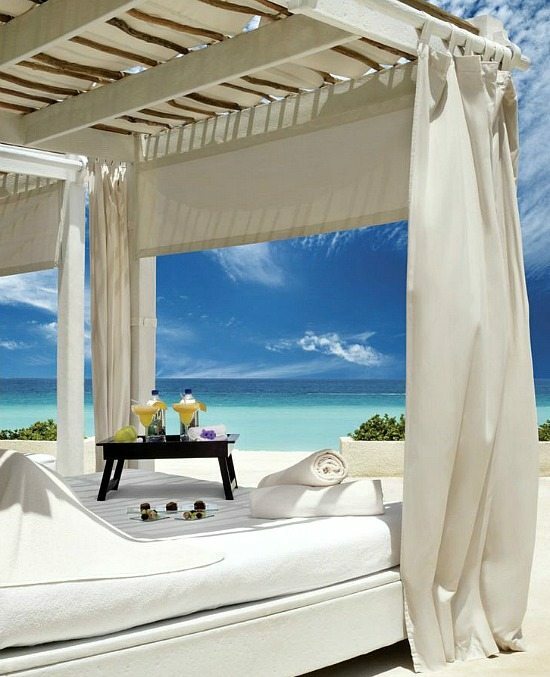 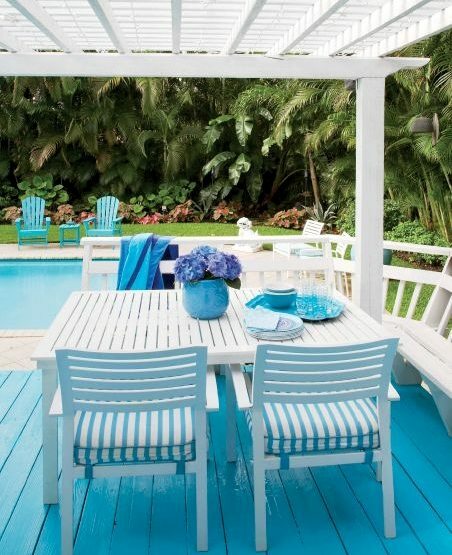 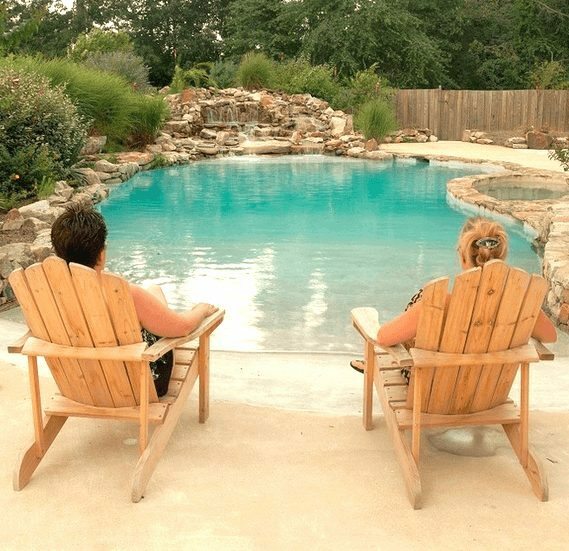 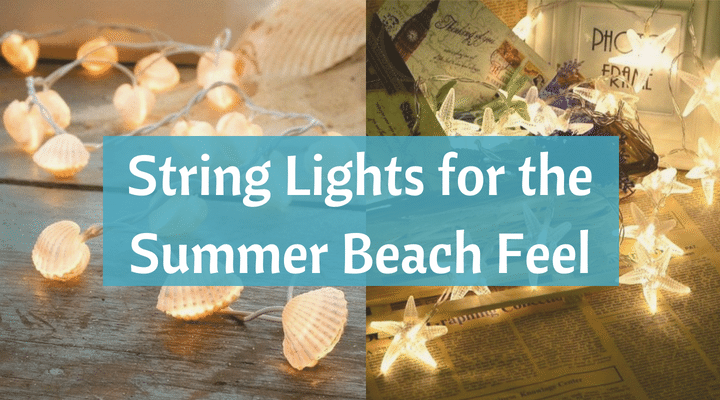 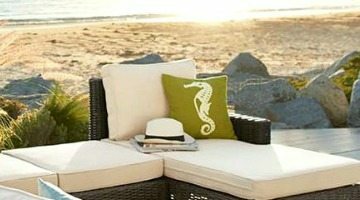 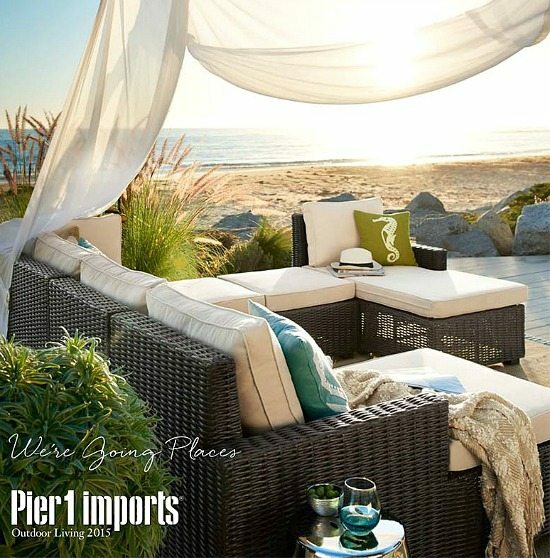 These Relaxing outdoor spaces make me feel like I’m at the beach, right by the water’s edge. 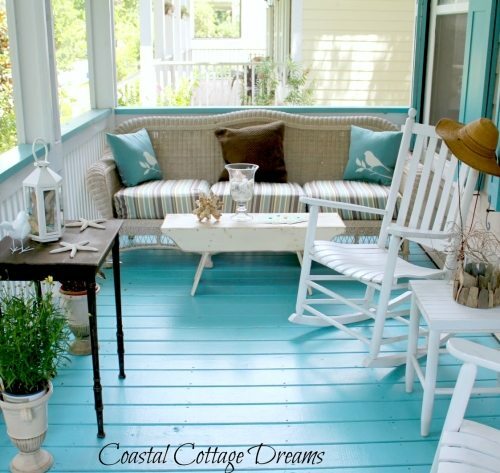 All because of the blue porch floors. 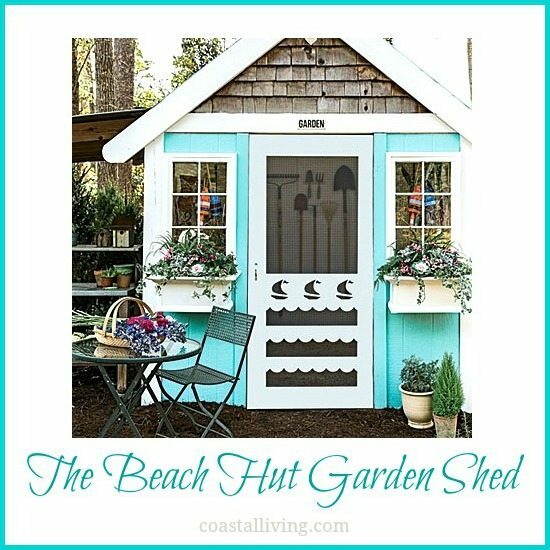 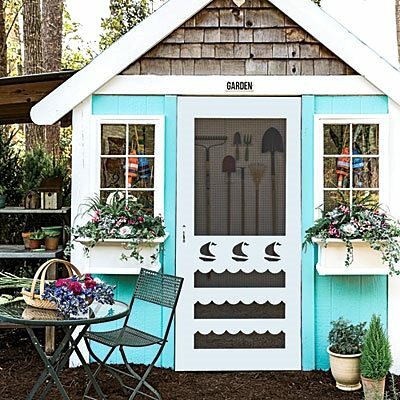 The beach hut garden shed is the ultimate storage shed for beach enthusiasts. 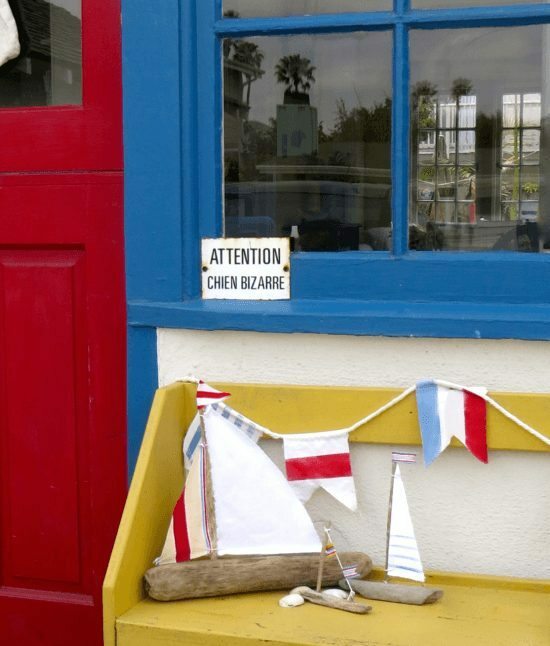 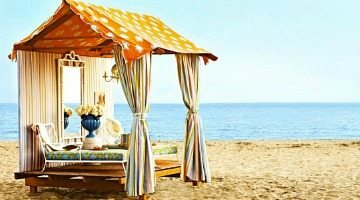 It is brightly colored just like the ridiculously cute Beach Huts that Dot the Coastlines in Britain. 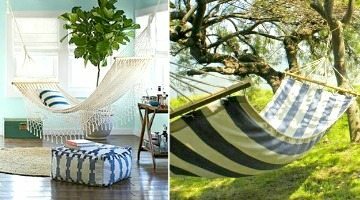 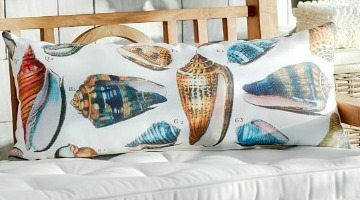 A beachy porch living room design that’s so lushly furnished, you’d want to spend all your time out there. 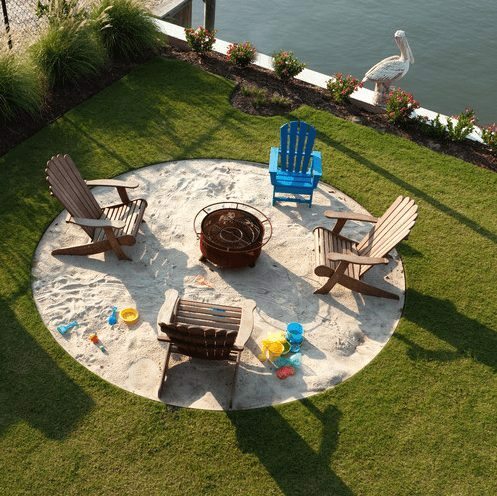 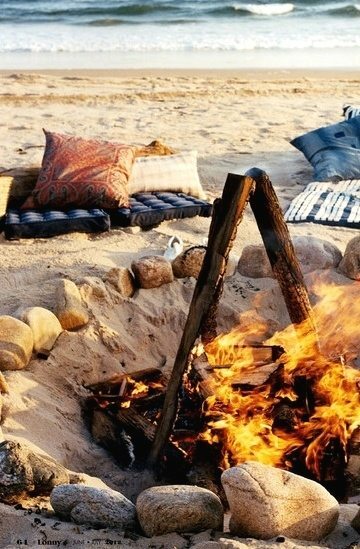 It has a sitting and dining room area, even an outdoor fireplace. 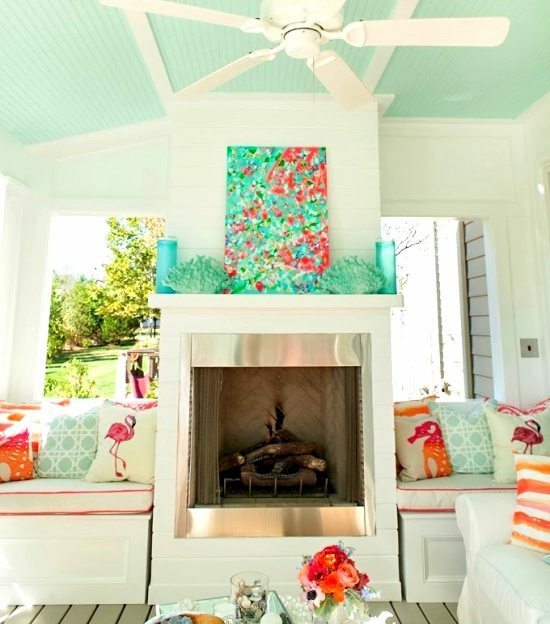 The fresh aqua, coral and orange decor theme make this porch a very happy place!